A wonderful way to add small planted trees or topiary to your deck or patio. 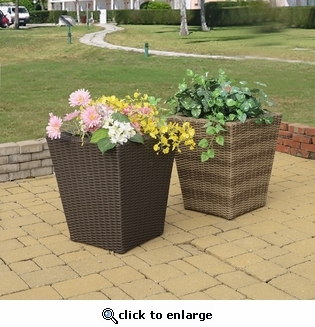 These highly durable planters are made of woven "All Weather" Polyresin over a rust-proof, powder-coated steel frame. Available in Ocean Gray or Dark Cherry finish.